There is no second thought in that Beyonce and Taylor Swift are amazing singers and performers. They are the most successful faces in music in the entire world. It is tough to compare both of them and judge who is more famous and a bigger brand but both have their individuality. With 123 million followers on Instagram, Beyonce is definitely leading as Swift has 114 million followers. On the other hand, Taylor Swift is hugely popular on Twitter as she has more than 83 million followers whereas Beyonce has just 14.9 million followers. It is also because Beyonce isn’t much active on Twitter. Coming to the net worth of both the singers, Beyonce’s net worth is $355 million in 2018 (Forbes) and Swift’s net worth is $320 million in the same year. Beyonce is considered to have greater vocal abilities than Taylor Swift. But Taylor’s concerts are sold out in the millions and her record to sell out a tremendously huge stadium in just 2 minutes, which has never been done by anyone else in history. People worship Beyonce as Goddess whereas people love Taylor Swift just as an ordinary girl. 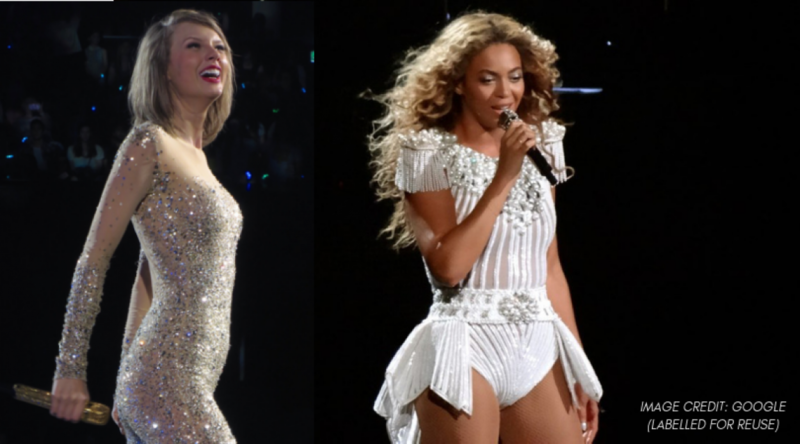 As per a recent poll on Twitter, Taylor Swift is voted much higher than Beyonce in who’s a bigger brand. Beyonce is a great singer and already treated like a legend. Taylor Swift inspires us by achieving so much at such a young age. It is not easy to compare them as Beyonce is a far better singer, has better vocals and overall power and range whereas Taylor is far superior songwriter and musician.